Here are the most frequently asked questions about IELTS reading test. How long is the IELTS reading test? The IELTS reading test is 1 hour in length and it comes directly after your listening test. There is no extra time given to transfer your answers to the answer sheet. There are usually three reading passages for the academic paper and the general training paper. However, some candidates have reported getting 4 reading passages too. Do General and Academic candidates take the same reading test? No, there are two different tests for IELTS reading tests. One is the academic training paper and one is the general training paper. Before your test you will decide which IELTS test you will take and this will affect both your reading and writing papers. If you don’t know which one you are taking, please follow the link to the IELTS website for information. What kind of reading passages are there for the academic paper? What kind of passages are there for the general training paper? The General Training reading paper has three passages, each one getting more difficult. The first one is relevant to everyday English life and could be factual information about a school course or some kind of service, such as a hotel. The second one focuses on work issues, such as training courses at work, resources at work, application procedures or about pay schemes. The last reading passage is longer and is the most difficult. This is based on a topic of general interest. There are 40 questions in total for your IELTS reading test. Do I lose a point if my answer is wrong? Should I use a pen or pencil in the reading section? Do I have time to transfer my answers at the end of the reading test? How long should I spend on each passage? It is recommended that you spend 20 minutes on each passage. Make sure you keep your eyes on the clock to make sure you manage your time effectively. Don’t leave yourself too little time for passage 3. What types of questions will I get in IELTS reading? There are many different types of questions and you must practice all of them. Go over the tutorials on IELTS reading question types and strategies on how to deal with them. Can I write on the reading question paper? Can I write all my answers in capital letters on my reading answer sheet? Can I write T instead of True for the True False Not Given questions? Can I write Y instead of True for the True False Not Given questions? Do all answers come in order? Here are some tips for improving your reading skills for IELTS. (1) develop skills of each type of question in reading – focus on just one type of question each day to improve your technique. Go over the IELTS reading tutorials to get information and tips on reading question types. (2) develop your speed reading skills – the passages are long and time is limited so you need to build your speed. (3) develop your ability to skim and scan – IELTS reading is not about understanding everything, it’s about locating answers. (4) read academic articles on various topics – read the bbc news, the new scientist, the economist etc. 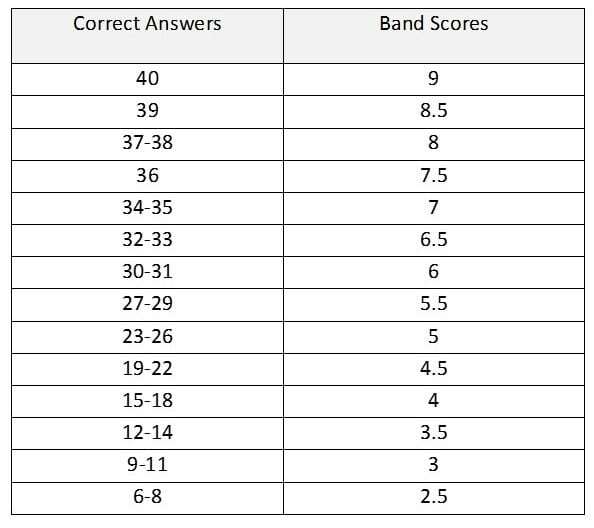 (6) practice tests – do practice tests to develop your concentration, test your timing and to know your band score. You should take your practice tests from the IELTS Cambridge books 1-10 because they are real past exam papers.